Aloyisus Leon Higginbotham, Jr. (February 25, 1928 – December 14, 1998), was born in Ewing Township, NJ. He grew up during the Great Depression and the era of Jim Crow laws. He overcame a childhood marked by economic hardship and segregation, and after graduating from Antioch College he attended Yale Law School where he graduated with honors. 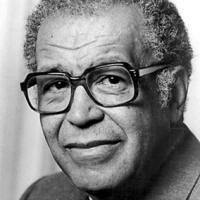 He sought an education and career in law where he fought institutionalized racism in the American judicial system. He began his career as a law clerk to Justice Curtis Bok of the Superior Court of Pennsylvania and soon became the youngest and first African American District Attorney in the City of Philadelphia. In 1954 he became a founding partner of the first African American law firm in Philadelphia, Norris, Schmidt, Green Harris, & Higginbotham. 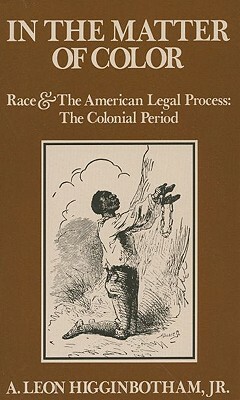 While in private practice, he also served in numerous public capacities including Special Deputy Attorney General for the Commonwealth of Pennsylvania, Special Hearing Officer in the United States Department of Justice, President of the Philadelphia Chapter of the National Association for the Advancement of Colored People, and a board member for various legal, political and non-profit organizations within Pennsylvania. In 1962 President Kennedy appointed Higginbot ham to the Federal Trade Commission making him the youngest and first African American to ever serve on a federal regulatory commission. Soon thereafter, President Lyndon Johnson nominated him as a federal judge in the Eastern District of Pennsylvania where he became one of the youngest people ever appointed to a federal bench at the age of 35. Leon served as a mentor to numerous young attorneys, affording them the opportunity to gain critical exposure to the legal profession. 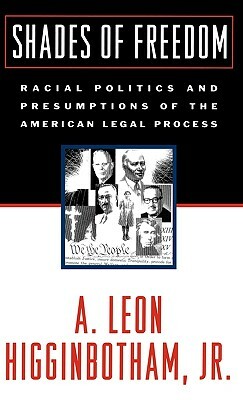 Leon played an extraordinary role in the civil rights movement as an advisor to President Johnson after the tragic assassination of Dr. Martin Luther King, Jr. and as a member of the National Commission on Causes and Prevention of Violence. In 1977 President Jimmy Carter appointed him to the United States Court of Appeals for the Third Circuit where he remained for 16 years, serving as Chief Judge from 1989 until 1991 and as Senior Judge until his retirement in 1993. Upon retirement, Leon became the Public Service Jurisprudence Professor at Harvard University and served as a consultant to Nelson Mandela on the formation of the Constitution of South Africa and as an advocate for grass roots democracy education. 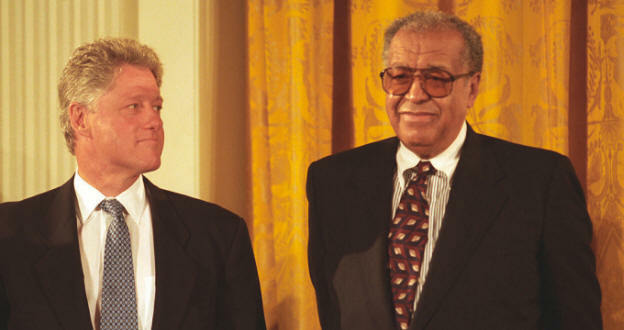 He continued his commitment to public service when appointed by President Clinton to the United States Commission on Civil Rights. Tell us how much you like A. Leon Higginbotham.